"I always believed that in order to make a really great animated film, you needed to do three things: tell a compelling STORY that keeps people on the edge of their seat, populate that story with really memorable and APPEALING characters, and put that compelling story and these memorable characters in a BELIEVABLE world. If you can do those three things really well, then the audience will be swept away and totally entertained.” John Lasseter, Chief Creative Officer, Pixar and Walt Disney Animation Studios Pixar Animation Studios is known for producing treasured animated films. The studios’ filmmakers use a multi-faceted approach to design the characters and the worlds that make their films so compelling. What guides their design choices? Story lives at the center of Pixar’s design process. The desire to tell an engaging STORY through characters and worlds affects every design decision that is made, from the hand movements of a robot to the shapes and colors used to depict emotions. Design is a key component that drives the development of a film from the original idea to what you see on the big screen. Pixar designers strive for BELIEVABILITY and APPEAL. A balance of these two principles contributes to successful design in support of the story. RESEARCH, ITERATION, and COLLABORATION are important design-process tools used at every stage of a film’s production. "Our Pixar team members absorb all types of information on research trips, but what happens is that different things strike different members and not everyone sees a subject in the same light. That, of course, is just what needs to occur, so that later when we come home and regroup, we talk about what we encountered, and different perspectives emerge." Joe Ranft, Head of Story WHAT ROLE DO RESEARCH OBJECTS PLAY IN THE DESIGN PROCESS? The Pixar team researching Cars spent many days traveling on Route 66—one of the original highways in the United States famous for its embodiment of unique American culture. During two different journeys, the director, producers, artists, and writers traversed this historic road. The team brought back ephemera as well as samples of what they experienced. Designers developed a color palette for the landscape inspired by roadside dirt and looked to their sketches, maps, postcards, and other collectibles to inform Cars' believable and rich details. "It is total teamwork. There is no individual in this thing. It's all a collaboration of different kinds of people with their different gifts coming together to make something work." Tia W. Kratter, Art Director WHO COLLABORATED ON THE UP HOUSE? A number of departments at Pixar collaborated to develop Carl's house. Some roles include: model packet artists, storyboard artists, technical artists, and designers. 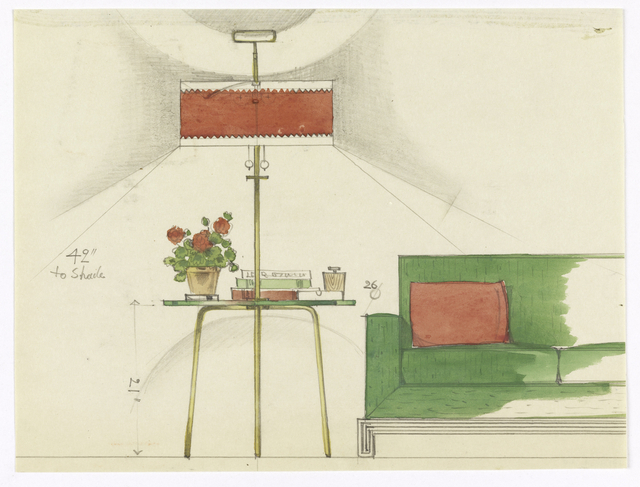 In the years following World War II, modern design flourished in homes and public spaces, fueled by new manufacturing techniques and a rising, optimistic middle class. The sleek, comfortable, and informal style arose defined by clean lines, organic forms, and large, open floor plans. 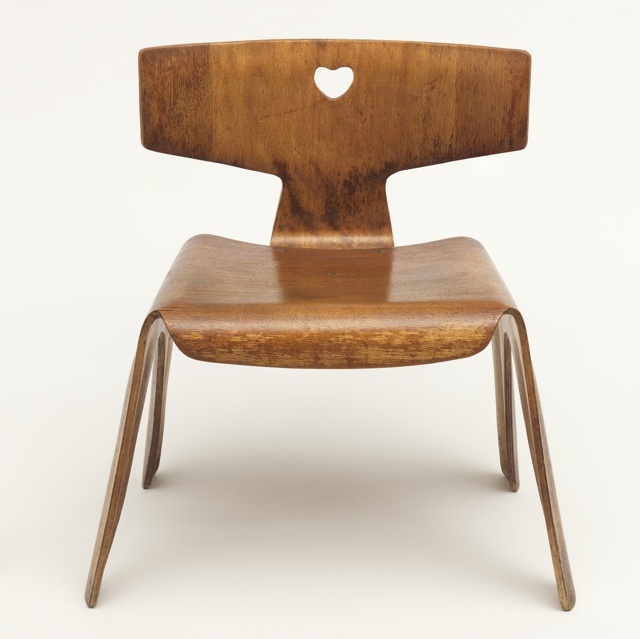 New materials—such as molded plywood and plastics—were used for everything from home furnishings to office equipment. 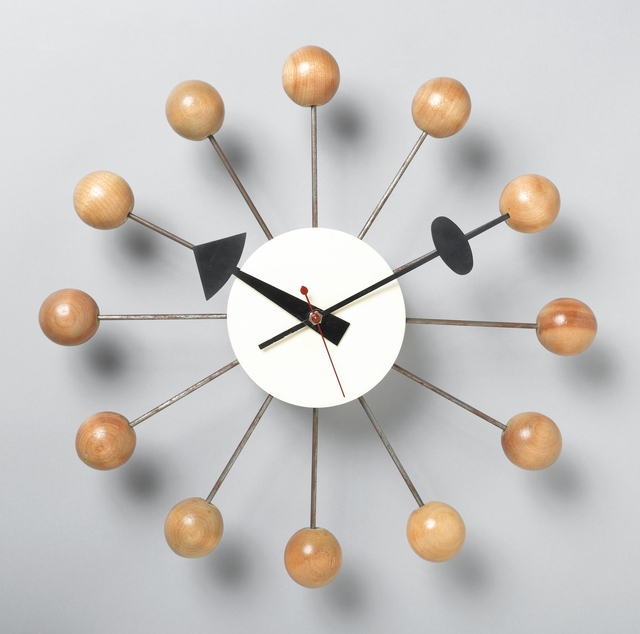 Midcentury modern design is revered today for its simplicity and versatility. In Pixar's The Incredibles an ordinary family with extraordinary abilities lived in a classic midcentury home surrounded by period furniture and products. 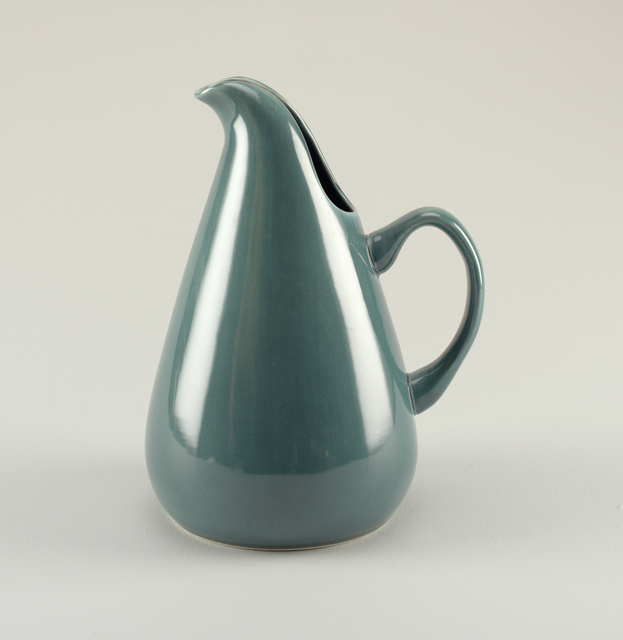 Cooper Hewitt's own collection contains many designs from the mid-twentieth century, which are similar to those in the film. 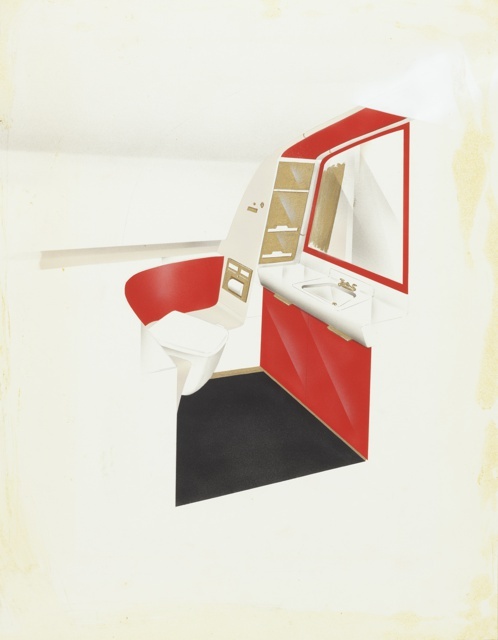 General Dynamics hired the firm of Dorothy Draper & Co., Inc. to design interiors for their new Convair 880 airplane - the first jet airplane to challenge the supremacy of Boeing's 707 model in the airline industry. 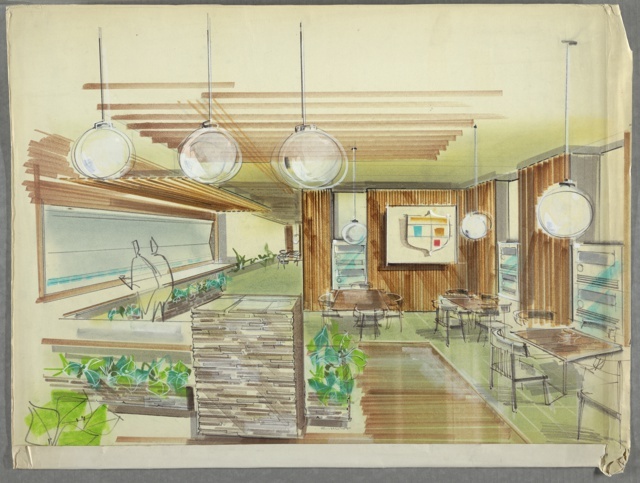 An advocate for roomy, commodious spaces and an early proponent of plastic laminates, Draper designed a colorful, convenient plastic-laminate veneered bathroom interior that functioned efficiently and comfortably for consumer use. This drawing served as a model for the mock-up plane interior assembled in San Diego prior to fabrication of the production airplane. Convair 880s were purchased by TWA who used them with Dorothy Draper & Co. interiors. Only sixty-five 880s were produced over the lifetime of the production run from 1959 to 1962, and General Dynamics eventually withdrew from the airliner market. The design team studied the measurements of over 2,000 human faces to find an optimal size and shape for the Model 500 handset. The new design was smaller and lighter and could be conveniently cradled between the head and shoulder. 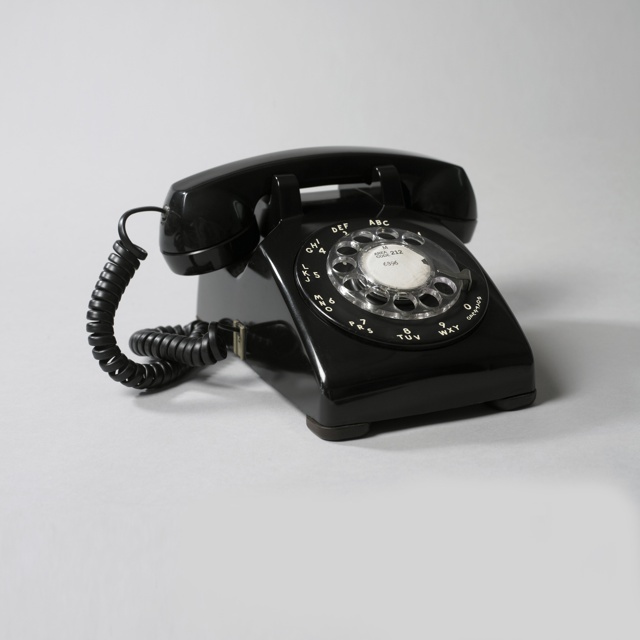 The designers fondly called the handset a “lumpy rectangle.” Offering the phone in multiple colors encouraged users—especially women—to see it as part of home decoration. "The colorscript, which allows you to see the whole arc of a film's color mood at a single glance, is essential to planning and refining the visual and emotional rhythm of a film to support its story." John Lasseter, Chief Creative Officer, Pixar and Walt Disney Animation Studios HOW IS A COLORSCRIPT DIFFERENT FROM A STORYBOARD? Storyboards are a series of drawings that depict how the story of a film will unfold. Colorscripts map the emotional arc of the film's story through color and light. CONCEPT ART Designers explore all the possibilities of the initial look of a character through iteration. Concept art takes many forms, including drawings, paintings, and 3D models. Merida’s character is wild in nature, represented visually by her untamed, curly hair. Designers experimented with her hair’s appearance and how it might behave in various conditions. MODEL PACKETS Once the overall look of a character is established, model packets are created by the art department to determine specific details of the characters and to assist technical artists down the line. VIRTUAL MODEL Technical artists use the model packets as a blueprint for creating a virtual 3D model. They collaborate with concept artists and the director to refine or enhance the look of the character in the digital world. For example, technical artists were able to improve the look of Merida’s hair through new technologies, allowing for a greater variety of curls that reacted to each other in motion. 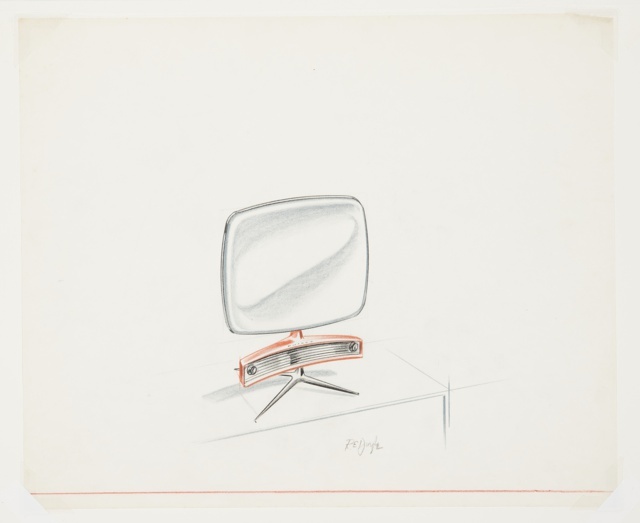 “Luxo Jr. sent shock waves through the entire industry—to all corners of computer and traditional animation. At that time, most traditional artists were afraid of the computer. They did not realize that the computer was merely a different tool in the artist's kit but instead perceived it as a type of automation that might endanger their jobs. Luckily, this attitude changed dramatically in the early ’80s with the use of personal computers in the home. The release of our Luxo Jr. . . .reinforced this opinion turnaround within the professional community.” Edwin Catmull, Computer Animation: A Whole New World, 1998 Luxo Jr. is a short film directed by John Lasseter in 1986, during the early days of Pixar. The film made its debut at the SIGGRAPH computer graphics conference that year. It was the first computer–generated animated film to receive an Academy Award® nomination, and was so instrumental to the foundation of Pixar that the bouncing lamp became its logo. The film was seminal not only in establishing Pixar’s design principles and tools, but also inspiring an entire industry of computer animation. While Luxo Jr. was created primarily to showcase Pixar’s technology, John Lasseter used it as an opportunity to demonstrate how compelling computer animation could be when infused with story, supported by key design principles. Careful decisions about scale and proportion give the characters appeal and help emphasize the relationship of parent and child. The effective use of motion and weight make their movements believable. All of these elements work together to tell a relatable and engaging story of parenting and childhood. The film was added to the National Film Registry of the Library of Congress in 2014.